Boston’s Seaport District has become one of the most exciting places in the region. Once an empty, almost industrial landscape, developers and pioneers brought a new energy and turned this place into a booming and vibrant environment. Now, you can find a number of Seaport Boston apartments and homes in the region. Today, Boston’s Seaport district caters to those who seek an exciting cultural experience. Visit the ICA (Institute for Contemporary Art) and then sit down at one of the many restaurants including Rosa Mexicano, Morton’s The Steakhouse, or Strega Waterfront. There are even docks available for those who choose to arrive by boat. At Equity, we choose to create communities in areas like Boston’s Seaport. These are places where residents can explore, live, and play all in one place. Once the day’s adventures come to a close, know that our residents can come back to a place that they are proud to call home. 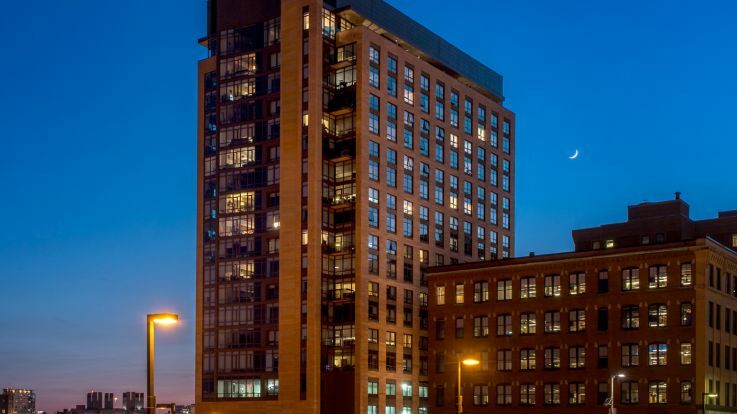 Browse through Equity’s portfolio of Seaport Boston apartments and find the perfect place to call home today.